Do you recall how I wrote previously that there’s hardly any pictures of me with my hearing aids revealed, except in some grade school photos? 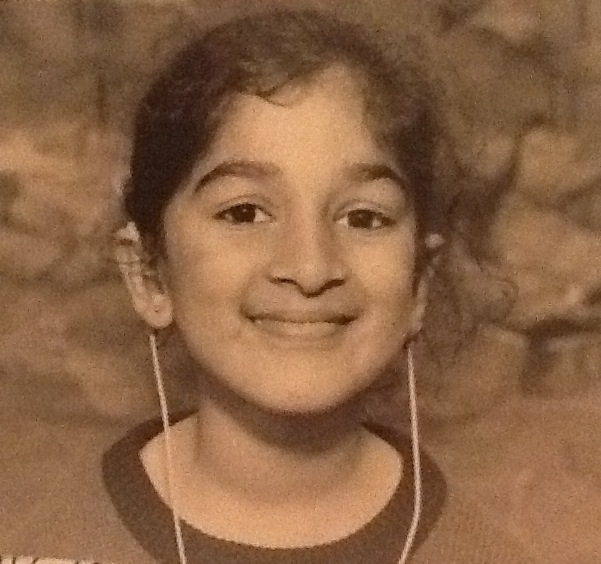 A very dorky photo of me at 8 years old, I believe. Don’t be fooled by my smile. It is for the camera only and does not reveal my exasperated hate for the awful, dreaded, FM listening system. What is that, you ask? 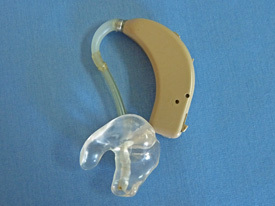 This kind of hearing aid can be connected to a FM Listening System, which works like a hand-held microphone, and were usually used in a classroom setting. 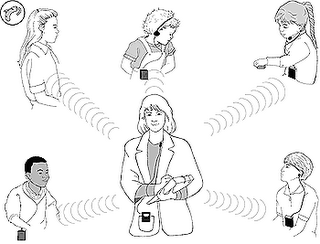 A teacher wears the transmitter, which transmits the sound of her/his voice directly into the hearing aid–kind of like a personalized radio worn on the person. As you can imagine, this can be very useful for children with hearing impairments, particularly those with short-attention span or those whose hearing loss is more severe that the hearing aid only provides partial assistance. The FM Listening System allows for the child to concentrate on the teacher’s voice, and hence, enhance concentration and learning skills. Scholars of Deaf History Studies have discussed how technology changed education and the physical condition of deafness by reducing it to the audiologist’s reading–hearing aids, FM Listening Systems, and cochlear implants are all aspects of the medicalization of deafness determined and defined by medical professionals. Members the deaf/heard-of-hearing community(ies), however, have had different responses to the technologies–check out the film Through Deaf Eyes if you’re interested on learning about the various perspectives. My experience with FM Systems? Well, I hated it. Completely, utterly, hated it. Not because it was an awkward piece of technology and the wires were just annoying, or even because I was for the most part, forced to use it–but because for me, it didn’t work. Or rather, it didn’t work the way I wanted to work. I lost my hearing when I was four years old, from a bad case of meningitis. By the time I was six, my parents enrolled me into a public school that had a hard-of-hearing program; it was very small–a total of no more than 15 in any given year, divided into “junior” and “senior” classes run by two teachers and varying teachers’ assistants over the years. I was there until I graduated and moved on to high school. Every day I would go to my classroom and my teacher would direct us students–they were always no more than perhaps six of us–to pick up on of the receivers. We would sit around the table, tuned into her voice and follow along the lesson plan. It wasn’t so bad when I first started school, because my hearing loss was so severe and I had trouble adjusting to my hearing aids. 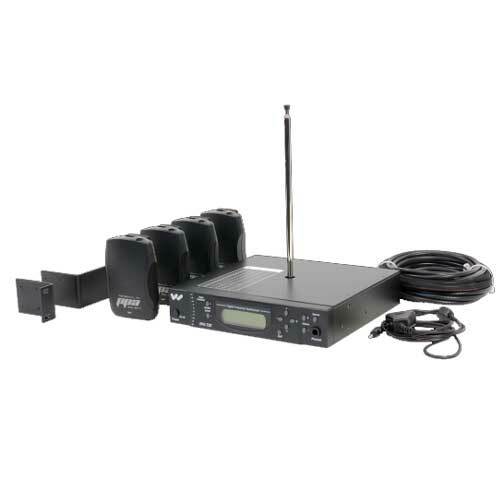 But as I grew older and more confident in my learning abilities, I realized that I could never hear my classmates while I was on the FM system; and it got annoying to turn it off and on every time I had to adjust my listening from my teacher to my peer. I don’t recall if my classmates felt the same way as I did. I got scolded at numerous times for failing to wear the FM system, so I would pretend to wear it in different ways. I would wear the wires under my clothing, but not plug the receiver properly into my hearing aids. Or I would wear the receiver, but not turn it on. I would complain that mine wasn’t working properly that day and it had to be sent for repairs. Or sometimes, when I was really bold, I simply refused to even pick it up from the charger. The problem for me was that I wanted to improve my hearing, not be dependent on my hearing loss. The FM system blocked all background noise, which meant that outside the classroom, I had trouble concentrating on my listening skills; at times, it was difficult to hear because background noises would overwhelm a conversation. It dawned to me that I had to “train” myself how to wear my hearing aids and function in a world of cacophony; and FM systems denied me that training. Every person’s experiences with hearing loss and assistance technology is different. This was just my mine. 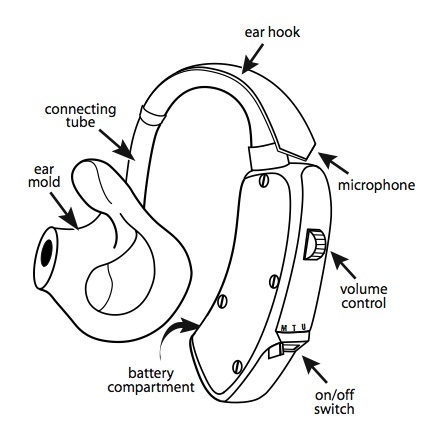 What make hearing aids do you wear?